How do I select a coding task for a candidate to solve in an interview? In the CodeSignal Recruiter Interview session, click the Select Task button. Select the coding question that you want the candidate to solve, then click Confirm. 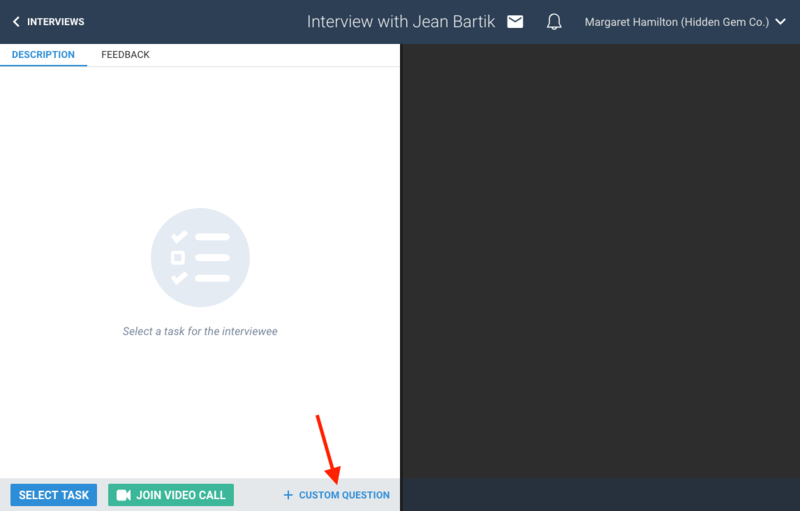 If you want to ask a free-form question or one that is not in the CodeSignal Task Library, choose Custom Question. Type any instructions or details for your new task into the editor. Then the candidate will be able to start coding! 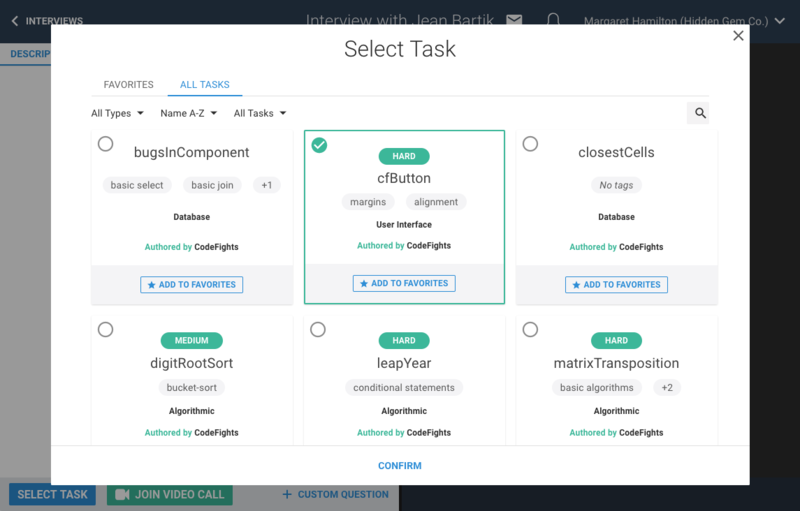 Your question will be saved as a task if you want to polish it later and add it to your task library.